Leaving Richmond we headed for Hythe in Kent eagerly anticipating a railway day out. 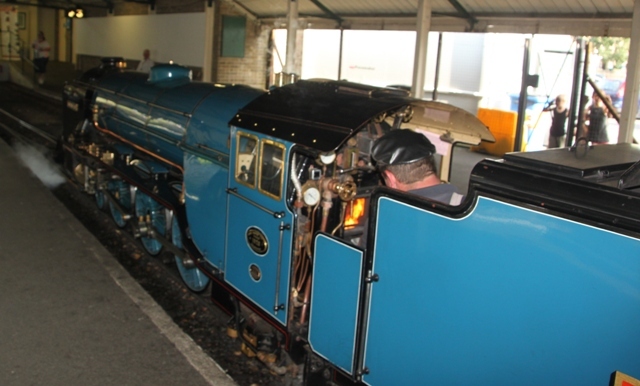 Loads of fun because this is a scenic train ride like no other – “Kent’s Mainline in Miniature” means travelling thirteen miles on small scale fifteen inch tracks. 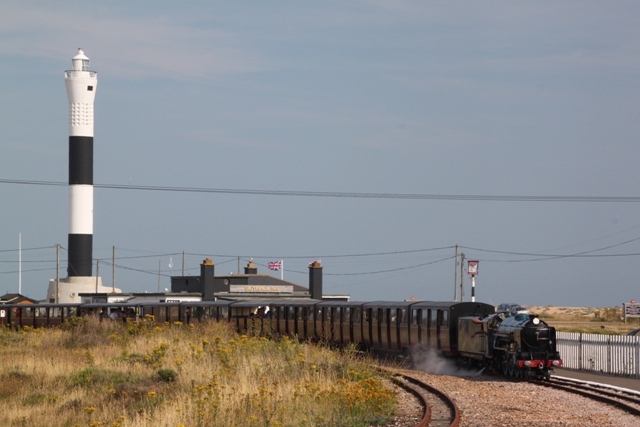 The cute train has been part of the landscape of Romney Marsh for 87 years, during World War II it used to trundle up and down the coast looking for signs of invasion. 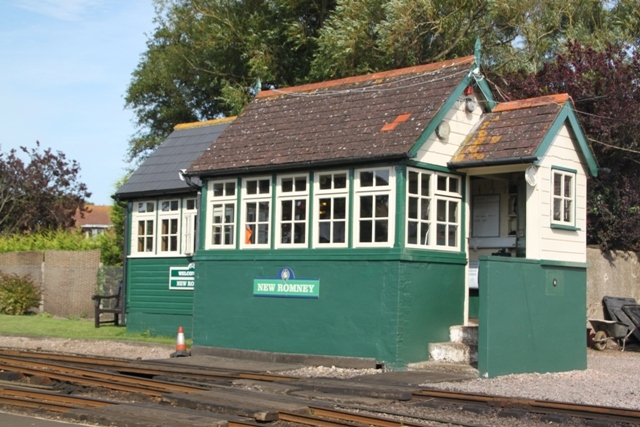 The railway starts in Hythe, terminates in Dungeness and has four stations in between – best of all each station is within walking distance of a beach. We arrived in Hythe, easily found the railway and made the Railway Cafe our first port of call. A bit like a trucker stop, but spotlessly clean with great food and an old fashioned ambiance, we loved it and the bacon sarnies and steaming mugs of tea got a massive thumbs up all round. No problem with buying tickets for the train, but arriving half an hour before our scheduled departure time to check out the pint sized locomotive we were surprised to find all the open sided carriages already taken. A bit disappointed, we resigned ourselves to sitting in a closed carriage. Hindsight proved this to be the better option – far less crowded, we had a whole carriage to ourselves and with no health and safety rules in evidence you could open the doors while the train moved. Perfect views and plenty of fresh air we ended up opting for a closed carriage on the journey back. The carriages are to scale but we didn’t feel at all squashed. The train trundled and rattled along the tiny track through the countryside. As we left Hythe we passed fields of wheat, corn and sheep and then lots of residential areas. Great fun to peek into the multitude of back gardens, it seemed to be washing day and most had lines of laundry flapping in the breeze. One hour and fifteen minutes later we arrived in Dungeness, ready to explore this beautiful, windswept, shingle peninsula complete with nuclear power station. That looks like an awful lot of carriages for one small engine! Hadn’t even thought about that Andrew but you’re right! Must have been ok though, we made it there and back without incident (phew). Even Thomas couldn’t pull that many carriages! I know – a nation of trainspotters – I don’t really get that but my husband used to be really into trains (strange!!). I did like this one though – like riding a cute toy train, it was loads of fun. That appeals to me as I love trains and the quaint factor is huge! Maybe I am living in the wrong country where trains are almost forgotten and are often a less than economical transportation option. This was such a novelty and lots of fun! It’s a shame train travel is not so economical or used – we don’t travel too often in the UK by train either but do a lot in Europe where it is reasonably priced, efficient and such a great way of getting around. Nice! I love train rides. We have a few in the Northeastern U.S. although they travel shorter routes, and are in operation only during the Summer and early Fall. This was quite a long ride although the time just flew past and I think it goes year round. I guess the trains are equipped to handle Winter. The Northeast US Winter is too cold for our historical trains! So cool to see this train again! We used to vacation in the area when I was growing up in the late 50s – early 60s and always looked forward to riding the train. 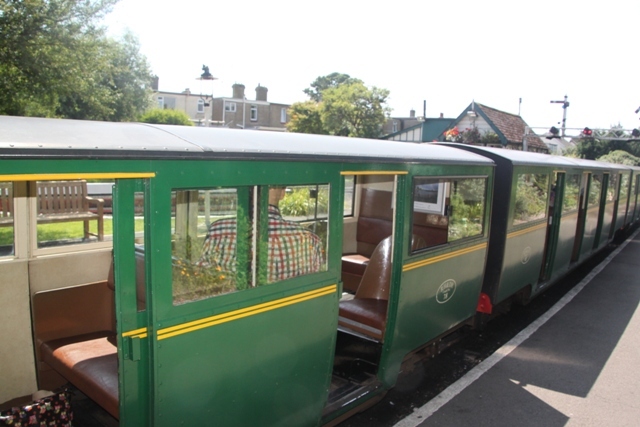 It’s such a lovely train and a great ride – we thoroughly enjoyed and great to see it still going strong and very popular! Woo-hoo! Another train ride for my list. It looks as though they maintained the train fairly well. It’s so cute! It was the cutest train ever and yes, it is in tip top condition – fab day out! It really was George, a cute little train with an interesting history, just perfect. Hope your weekend is a great one too! Actually it wasn’t too bad Rosemary – I’m not so tall so don’t need too much space, my husband also didn’t find it too hard to pack his six foot frame in either but it definitely helped to have a carriage to ourselves. A fun train ride in a very cute train though!! Enjoy your weekend. I would have been fine as I’m only 5ft 2 !! I have always loved trains since I was very small so I would love this one too! 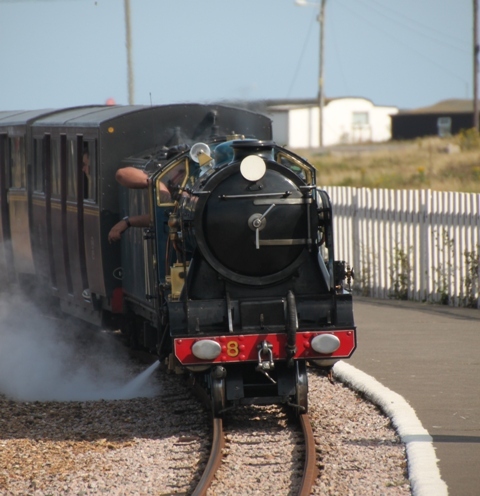 I’ve never hear of the Hythe Railway – oh goodness, it’s a really good time spent on it, too. Monkey would love it! One to add to the list! It’s a lovely day out, especially if your little one likes trains, this one is cute and fun plus lots of options to get off and go to the beach.